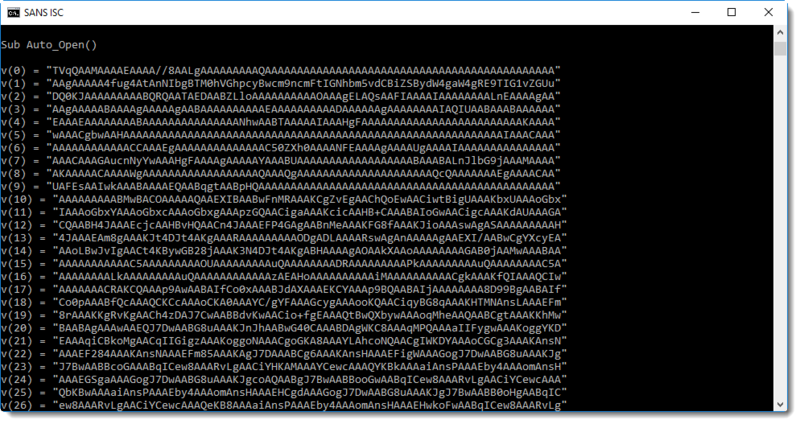 Sometimes, when I'm analyzing malware, I think: this is probably part of a penetration test. 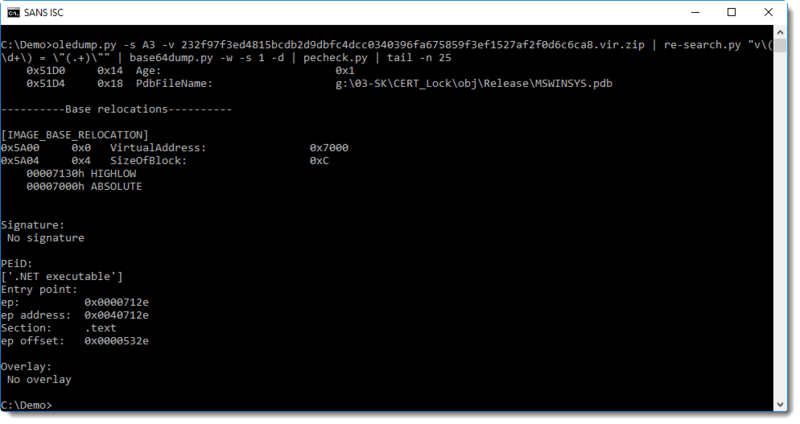 For example, until about a year ago, when I would analyze a malicious Office document with shellcode, there was a very high probability it was created by a penetration tester. And it has happened too, that readers have submitted malware to the Internet Storm Center that turns out to be created for a penetration test. We inform them about this, and sometimes they will confirm later that it was indeed a pentest. Just because it's a penetration test, doesn't mean that I'm halting my analysis. Depending on the context, I will take appropriate action. 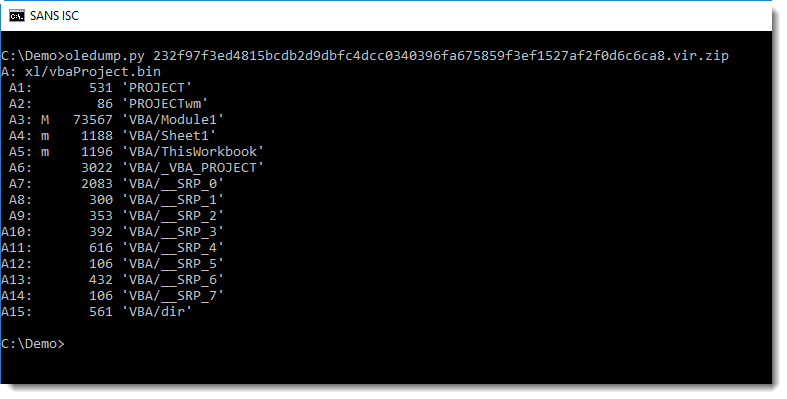 It has happened for example, that I obtained from the maldoc the domain name registered by the pentesters. In stead of blacklisting that domain, I would monitor it closely. Have you uncovered a pentest? What did you do? Please post a comment. Recently in my Twitter feed, I found a document with macros created to raise awareness. 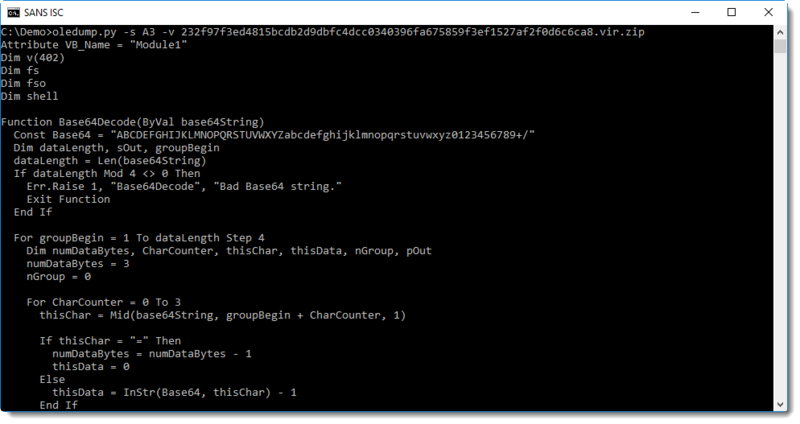 Yes, that's BASE64 that starts with TVqQ..., a strong indication that this is a Windows executable (MZ...). 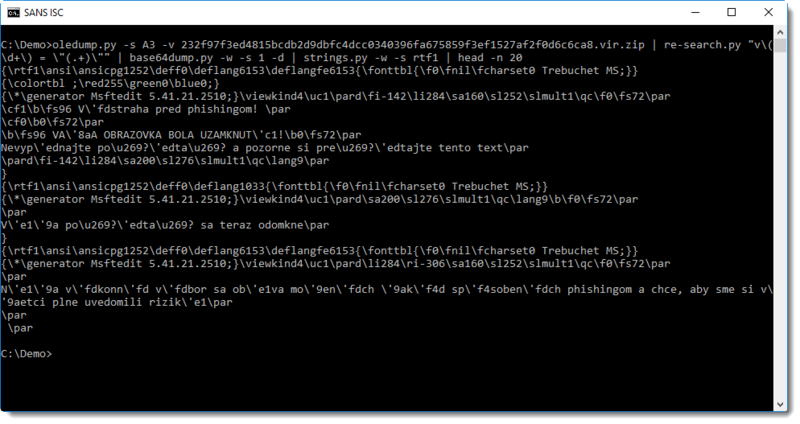 This .NET program will lock the computer screen for a couple of minutes and display phishing awareness messages in Slovak. I think this was created for users that did not score high in awareness training quizes. Did you ever have to take such strong measures to raise awareness?